One of the best things about Fall is football — especially gearing up for a big game. We partnered with the makers of HORMEL GATHERINGS® to help make your tailgate party simple, delicious, and fun. Fall is practically synonymous with football season, and there's nothing like getting a crew of friends together to cheer on your favorite team. Since no game day is complete without a little pre-kickoff fun, we're sharing our tips for the easiest tailgate ever. 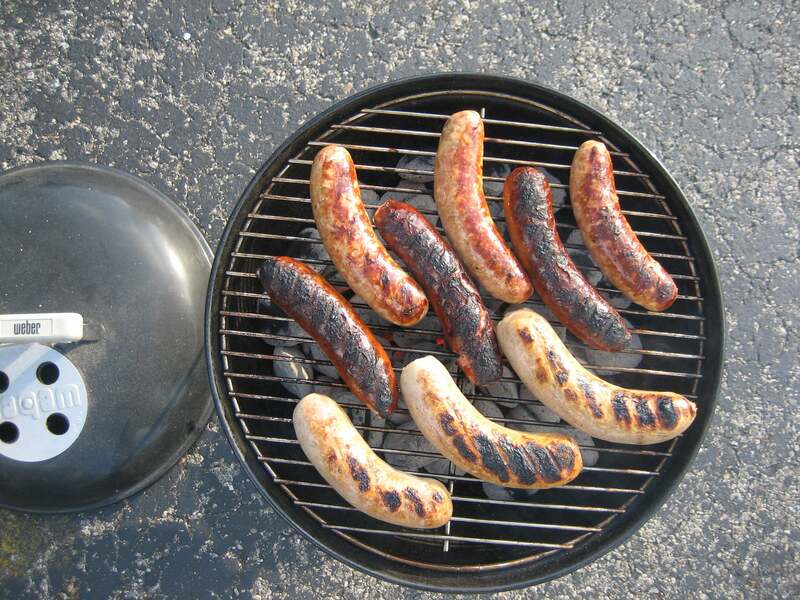 Professional tailgaters keep a few hacks in their arsenal, and they can be easily replicated. Freeze water bottles beforehand so that you have cold ones the entire time, fill a six-pack holder with your favorite condiments, and use a toolbox to pack essentials like wet wipes and cooking utensils. You may think an hour or two before is enough, but really take your time with it and get there four hours early so that you can eat at least two hours before. That will give you enough time to set up camp, enjoy the festivities, and clean up before you make your way into the stadium. Trust us, you'll be thankful for the extra time especially if you are planning for lots of people or setting up a grill. When parking lot section signs don't really cut it, bring a bright balloon to leave at your camp. You can even get playful with it and do an arrangement in your team colors! Make sure it's unique enough to really stand out, though. Food is going to be the star of the tailgate, but you don't want to spend more time cooking it than enjoying it. Pack dishes you can prepare beforehand, like cut-up veggies and pita or yummy dips. Having easy finger food, like a no-fuss party tray with meats and cheeses, also saves you pre-tailgate time since they're already assembled and ready to go. Even if your car isn't huge, use your trunk to store food and drinks — or even to house your speaker system. You can also set up a buffet-style serving station complete with plates, napkins, and cutlery. Consider it a built-in table! The right tunes can really get you hyped for the game, so make sure to bring some type of sound system. Portable speakers are your easiest option, and it'll be worthwhile to create a playlist of pump-up music. You'll most likely be standing up and cheering for the majority of the game, so give your legs a rest while tailgating by bringing along folding chairs. It would also behoove you to make friends with your neighbors; that way, if they have more seating they'll be more likely to share. Remember: it's a marathon, not a sprint! Tailgates are meant to get you ready for the main event, so you don't want to overdo it too early. Save your real energy for the game. Focus on cheering for your favorite team, not preparing the snacks. From tailgating, solo nights binge-watching your favorite show, or even unannounced houseguests, HORMEL GATHERINGS® Party Trays are already ready. 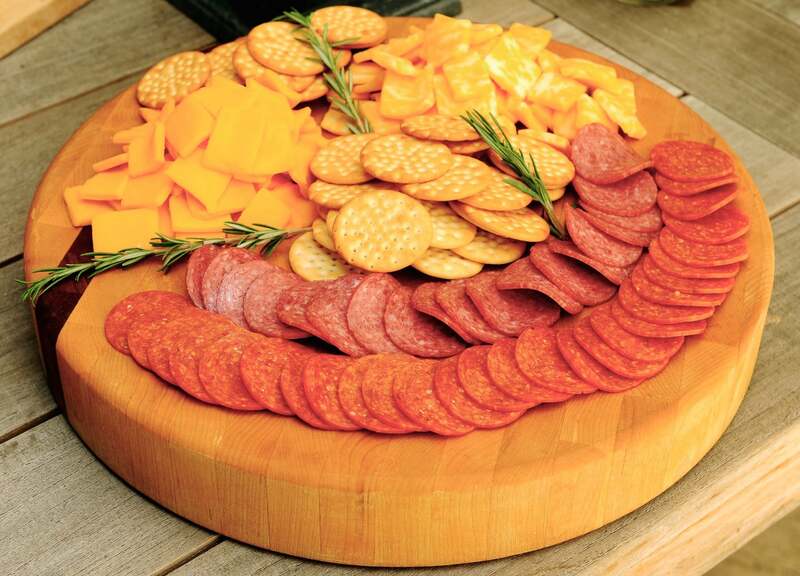 Grab a pre-cut meat and cheese tray for your next get-together.